Aguila Ammunition has been manufacturing high-quality ammo in their state-of-the-art facility since 1961. Based in Cuernavaca, Morelos, Mexico, Aguila Ammunition is the exclusive manufacturer of ammo for the Mexican military and police forces. 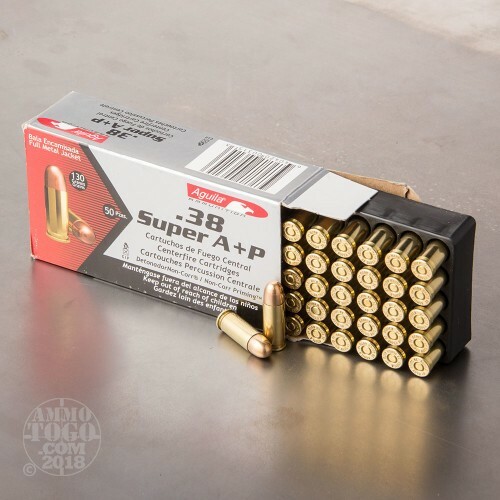 With the company’s focus on innovative design and quality components, it is no wonder they also produce some of the best ammunition available to the modern civilian shooter. 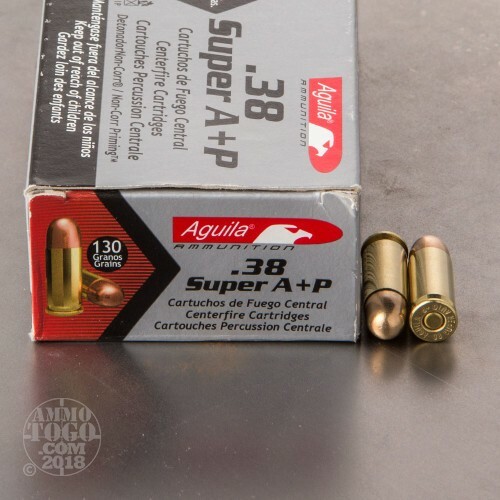 All Aguila ammo is meets military and SAAMI specifications. 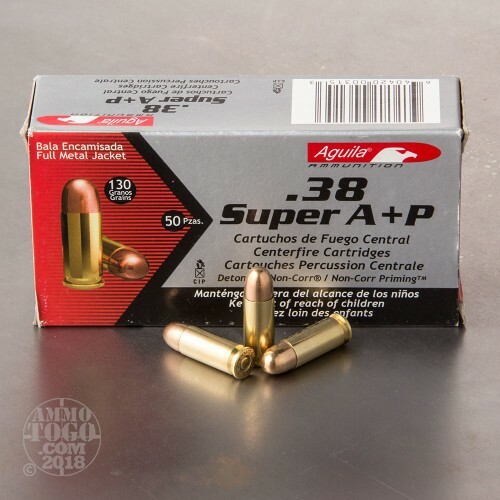 Perfect for the high-volume or budget-conscious shooter, this package contains 50 rounds of economically priced Aguila .38 Super Auto ammunition. Each round is loaded with a 130 grain full metal jacket (FMJ) projectile. 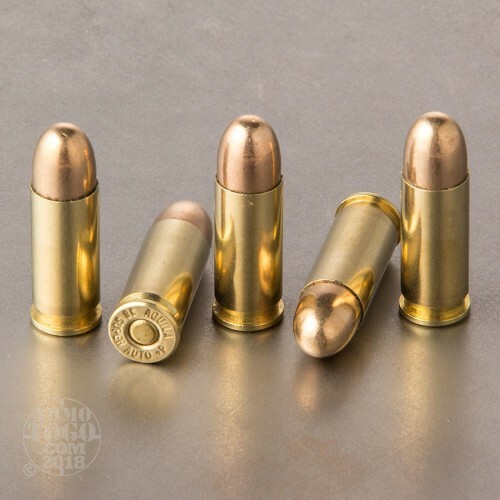 Designed with a soft lead core surrounded by a full copper jacket, these rounds produce minimal terminal expansion, making them an affordable option for range training and target shooting. These rounds are factory fresh, 100 percent non-corrosive, Boxer primed, and brass cased. These are +P overpressure loads that produce a muzzle velocity of 1220 feet per second and a muzzle energy of 992 foot pounds.